Canyons are a trio of badass gals: Kate Anderson (lead vocals/rhythm guitar), Secily Saunders (lead guitar/vocals) and Hillary McDaniel (percussion), with guest artists Kenyatta Kennedy (bass/vocals), Heidi Nedreberg Middleton (vocals) and more. Each member brings her unique musical experiences into their newest EP, Sometimes Late at Night. 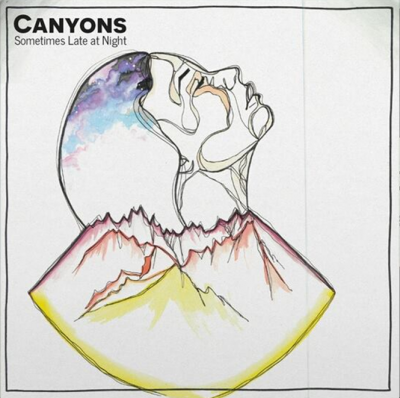 Though Canyons are a local band, they each bring influences from their hometowns, drawing inspiration from the Western and Mid-western territories of Nevada, Ohio and Texas.